The U.S. Supreme Court issued two rulings last week on copyright law. In both cases, they acted to resolve conflicts between the Circuits, following closely to statutory language. Fourth Estate Pub. Benefit Corp. v. Wall-Street.com, LLC. In the first ruling, Fourth Estate Pub. 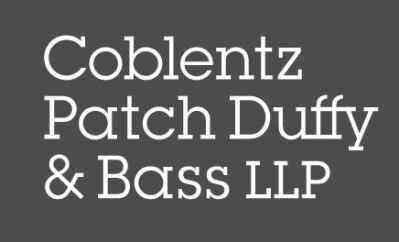 Benefit Corp. v. Wall-Street.com, LLC., the Court clarified the Section 411(a) registration standard for filing infringement actions. “Registration” in advance of an infringement provides the opportunity to seek damages for past infringement as well as the infringer’s profits. In Fourth Estate, the Court resolved a dispute among circuits, where the Tenth and Eleventh Circuits held that complete registration of a work was required, and the Ninth Circuit (along with the Fifth Circuit) held that receipt by the Copyright Office of a complete application satisfied the registration requirement (See Cosmetic Ideas, Inc. v. IAC/Interactivecorp, 606 F.3d 612, 616-17, 621 (9th Cir.)). In Fourth Estate, the Court held that the only satisfactory reading of the Section 411(a) language “…no civil action for infringement of the copyright in any United States work shall be instituted until preregistration or registration of the copyright claim has been made…” requires registration of the copyright. The Copyright Office has a procedure for “expedited registration,” which can be requested on the grounds that litigation is imminent. The expedited procedure generally speeds the registration process up from several months to a few weeks. But it’s not cheap: There is a special handling fee of $800. Rimini Street, Inc. v. Oracle USA, Inc.
Owners of copyrighted content should think ahead and not wait to encounter infringement before applying to register works. When you create valuable content, you should have a regular registration program. Applying to register copyrights is fast and easy, and we’re always here to help.